Last Sunday I turned up to play alone at Lam Lukka and was sensibly paired by the starter with 2 Thai gentlemen. After a few polite introductions we completed the first 3 holes and at the first drinks stop started a more involved conversation. This was about the differences between being a member of a club in Thailand versus England where I come from. First of all I need to say that this is my experience and there are some generalisations, but in the main I believe the following are valid observations. I have been a member of 5 clubs in England and am a member of 2 here in Thailand. They are very different propositions. The vast majority of clubs in England are member-owned and through their affiliations are subject to the governance of the English Golf Union and its various Associations. There is similar infrastructure in Thailand but understandably not so mature in its development. An English golf club has a very formal hierarchy with an operational organisation managed by the Club “Secretary” who takes care of the running of the course and its facilities. This is also true of Thailand albeit the post is more practically described as the General Manager, but there the similarities end because this hierarchy is far more evident day to day in England. Because Members are effectively shareholders of the club they participate in the management of the organisation by virtue of a standing Committee which influences rules and guidelines for play, dress codes, social matters, pricing and other matters. Importantly, two posts on the committee are filled by the Captain and Lady Captain who are voted in by the other Members as their representative for the year and who fulfil an important role which is far more than ceremonial. The reason for these positions originally was because there has been a long tradition of competition in English golf both internally within the club, playing for various trophies, as well as external competition between local and regional clubs in tournaments managed by the various Associations: thus you need a team Captain. Whilst the position of Captain is quite demanding and expensive because they are expected to participate in all things social as well as playing probably 200 times a year and certainly twice every weekend, there are perks. The Captain will have their annual subscription waived, enjoy a rather prominent car parking position next to the front door of the clubhouse and best of all as far as I was concerned, have absolute right of way on the first tee…they turn up and as a function of courtesy you step aside…wonderful! Not all Captains used that privilege, can’t think why not? Another unusual tradition is that the Captain plays with all prospective new members so it is important to be on your best behaviour that day and create a good impression. But what of the day to day for us lowly types who seek only to play and not get involved with the organisation, bureaucracy and politics (there was a lot of that going on)? Just like Thailand I tended to play with a regular group of various ages; a common theme being they were very sociable. The difference was I probably met that group because on joining the club the first thing I did was sign up for the inevitable weekend competition. In this way I met people both on the course and afterwards when it was customary to get together in the bar and say hello over a civilised drink. On one occasion this turned out to be an unexpected event when I arrived at the pro shop to pay the competition entrance fee and looking at the list of players the professional told me I was joining “Dennis, who’s out on the practice green”. Dennis turned out to be a very famous TV star who subsequently became a firm friend. 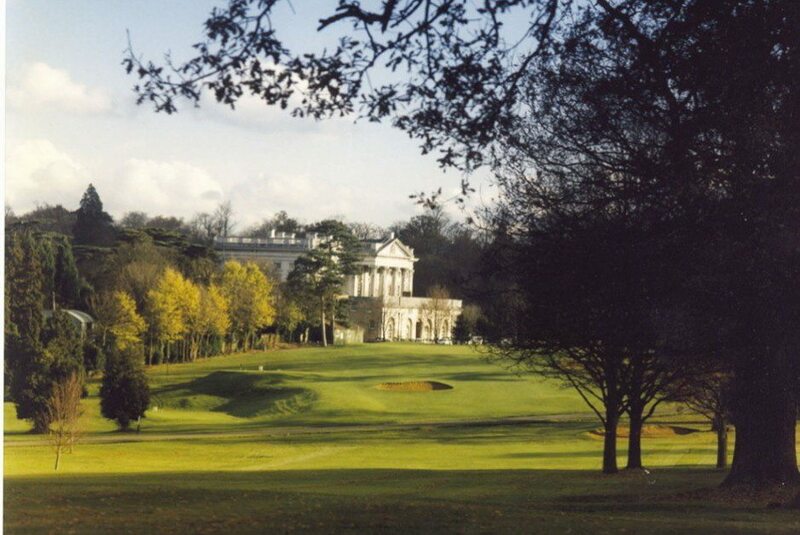 Membership of a golf club is also different in England because there is much more emphasis placed on the wider social side with everyone encouraged to attend the numerous evening functions. These are important sources of club revenue required for investment and upgrade of the facilities; you didn’t mind because you were spending money on a club you had a stake in. There were no millionaires or large corporations bankrolling the courses because most were created as a local community facility (albeit generally for the better off in society), not as a property development exercise which is common in Thailand. 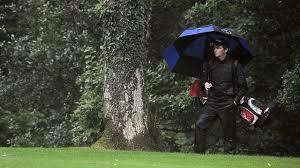 Although not about membership at all and more about day-to-day play, another significant factor is the weather. Inevitably you’d be glued to Friday’s weather forecast for the weekend. This would dictate the number of layers you had to wear which could be astonishing (you’ve seen the professionals playing in the Open Championship in Hoylake in July)…10 degrees, 30 km/h winds and lashing rain…not exactly Hua Hin? Okay, it didn’t rain every day but looking back it felt like it. Clubs in England do have a drinks stop, but just the one which is generally after 9 holes and rather than an ice cold beer they offered coffee or hot chocolate and a bacon sandwich which was meant to thaw you out (just what was needed I have to admit). No caddies of course, except perhaps at some of the very prestigious courses, which means carry your own clubs or commonly use your own trolley, tend the pins and rake your bunkers. Do I miss it? Not a bit! Whilst I enjoyed the sense of “belonging” that an English club gave me, the Thailand experience for me is superior. Pretty much guaranteed weather (I’ve been rained off the course only once in 15 years’ playing in Thailand), I play generally better courses and having a caddie to keep me cool, calm and collected has meant that I’m a better player with a lower handicap. Also, because I like joining other groups there have been lots of opportunities to meet people from all over the world. What’s the downside? You play faster in the UK…to stay warm!